When it comes to stopping criminals, sometimes the best defense is a good offense. Richard Turner had a plan. While attending the New York Comic Convention at Javits Center, he was going to make off with something valuable. 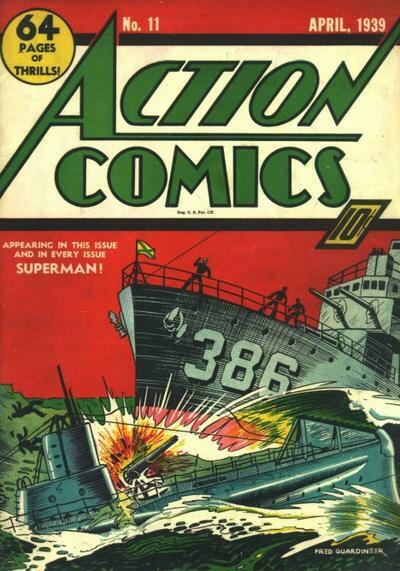 At the booth rented by Worldwide Comics, he saw just what he wanted to steal: Action Comics #11, a rare early edition of DC Comics worth several thousand dollars. There were other rare comics, all of which Turner slipped into his bag in an attempt to make off with the cash. Unfortunately, he didn’t account for the booth’s owner, Matt Nelson, who chased the comic book thief down with superhero-like determination. “Like Superman, I flew into action, determined to stop the bad guys,” said Nelson, co-owner of Worldwide Comics with partner Stephen Ritter. “Just like in the comics, justice prevailed.” Nelson chased down the theif, got his comics back, and when the man tried to run, Nelson continued to pursue him. Turner was eventually captured by security and arrested. The comic book thief faces charges of possessing stolen property and grand larceny. Fortunately, no one was hurt. No superheroes were needed, either. Just plain old-fashioned vigilante justice.